7 Myths On Property Management In Toronto Debunked! | Toronto Property Management Company - Mareka Properties (2000) Ltd.
Are you well equipped to take heads on with those onerous issues that may arise in your property, such as instant repairs, property damage, theft and eviction? According to a survey conducted by the international property consultancy CBRE, professional property management increases occupancy rates by bolstering tenants stability and lease renewals owing to improved tenant retention. And for the commercial settings, the 2018 CBRE Global Tenant Survey which polled more than 1300 tenants across the world, uncovered that 80% of participants opined that the quality of property management exerts a strong influence on their decision to renew the lease. Despite the proven perks of property management in Toronto, the reason why some landlords choose to handle the property themselves is attributable to common myths. An example is when landlords believe that they don’t need a property management company, but just a community manager. While it’s true that the capacity of community manager is vital in smooth operations, it’s the property management company that will facilitate him with the right technology, resources and highly-trained staff, complemented with ongoing training opportunities. When the community manager has the support of well-qualified individuals who possess advanced knowledge of relevant resources, the economic value of your property is set to skyrocket. Here are more myths which are exactly that, and therefore need to be debunked! It will cost me too much money! In fact, using a property manager will help you get the maximum rental income in most cases. More often than not, landlords tend to reduce the rents to attract tenants. Property managers, on the contrary, have dedicated skills, resources and strategies in place which enables them to maintain “market rent” and draw in better quality residents. Of course, there is an extra cost to bear while consulting a property management company, but that will be more than compensated for due to the increase in rental income. I might lose the control of my property! The fact is that you (or the board of directors in case of a condominium corporation) are in complete control of drafting the policies for tenants, and penalties as well to address the non-compliance situations. 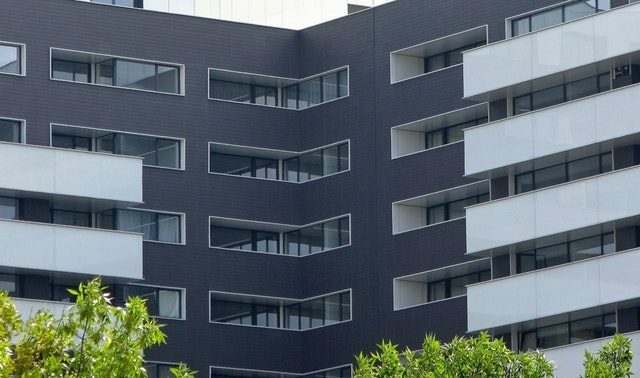 The role of a property manager is to ensure that the guidelines or policies you laid forth are enforced fairly and consistently and to tackle all kinds of foreseen or unforeseen property related issues, but of course, you’ll have the final say in every decision, be it vendor or tenant selection. I can get better tenants! Assuming this is true, do you have the resources to ensure that? Most property owners work in the lines of hope/wish theory – they hope that tenants won’t destroy their property and wish that they’ll pay the rent, and pay it on time. That’s not the case mostly though, and your inability to deal with such instances smartly and proactively may lend you not-so-good reviews on the internet – a bad news for the long-term fiscal viability of your asset. A professional property manager has prompt access to specialized tools to screen potential tenants and attract qualified residents who can (and are ready to) pay the market rent on time. Usually, property owners get so tired of dealing with complaining and abusive tenants that they become non-responsive. Or adversely, they do so much for the benefit of residents that the investment turns out to be unprofitable and a cash drain. With extensive experience, a property manager is aware of all pertinent federal and state laws and will strive to maintain a balance wherein all the concerned parties are happy. Since my property is situated in a small town, no property manager can help! A major misconception that needs to be debunked downright. There are many property management companies that will help you out, no matter where the property is located. Even when they can’t travel to the area themselves, they’ll have contractors to get the job done. I can manage the property by myself! Unlike most investments, owning a rental property is subjected to various laws and regulations. Not only tax regulations, the government has lead-based paint, fair housing and other complex guidelines applicable to rental property only. In certain instances, the state may impose additional fair housing rules, along with landlord-tenant laws to govern this relationship. Do you have the skill-set to understand the rather complicated legal terms? I can take care of evictions! When one of the tenants violates the lease and refuses to move out, it might not take long for things to turn nasty. When that happens, the tenant needs to be evicted through a proper and streamlined way. Before final eviction, you may have to send warning notices and if required, file an eviction in case the situation persists. Such circumstances are highly stressful, and tenants may not always be truthful with the court officials. Property management companies know when to send the notice according to the law, and how to proceed if the tenant fails to fix the problem. No one else but I can protect my property! You may be a very hands-on rental property owner who can drive by the property every week or who is in contact with residents every time an issue crops up. A reliable property manager will do that for you, with increased efficiency and in a better manner – particularly in situations when you can’t afford the time to be there. It’ll be their job to keep your building looking as nice as possible – the better maintained your property is, the higher rents you can charge – delivering an increased monthly return. Myths make great stories, but they should have no place when it comes to ensuring the smooth operation of your property and keeping it financially viable for long. Contact Markea representatives to discuss your property management requirements.